From the visual and textual art of Anglo-Saxon England onwards, images held a surprising power in the Western Christian tradition. Not only did these artistic representations provide images through which to find God, they also held mystical potential, and likewise mystical writing, from the early medieval period onwards, is also filled with images of God that likewise refracts and reflects His glory. 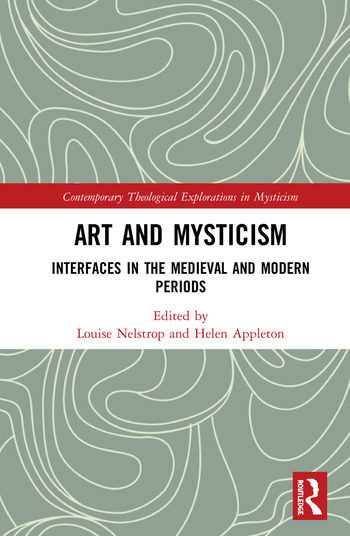 This collection of essays introduces the currents of thought and practice that underpin this artistic engagement with Western Christian mysticism, and explores the continued link between art and theology. The book features contributions from an international panel of leading academics, and is divided into four sections. The first section offers theoretical and philosophical considerations of mystical aesthetics and the interplay between mysticism and art. The final three sections investigate this interplay between the arts and mysticism from three key vantage points. The purpose of the volume is to explore this rarely considered yet crucial interface between art and mysticism. It is therefore an important and illuminating collection of scholarship that will appeal to scholars of theology and Christian mysticism as much as those who study literature, the arts and art history. 1 Beneath the Surface: Whose Phenomenology? Which Art? Helen Appleton is a Career Development Fellow in Old and Early Medieval English at Balliol College, Oxford. She has published on early medieval poetry and hagiography, and is also a co-organiser of The Oxford Psalms Network. Her principal research area is the relationship between religious devotion and the environment in Anglo-Saxon England. Louise Nelstrop is a lecturer in Religion, Philosophy and Ethics at York St John University and a College Lecturer in Theology at St Benet’s Hall, Oxford. She is co-editor of several earlier volumes in the series, most recently Mysticism in the French Tradition: Eruptions from France with Bradley B. Onishi. She has published several articles on the English Mystics and is also a convenor of The Mystical Theology Network.